Aluminum Die Casting is a 6000 year old manufacturing process. Aluminum die Casting is a manufacturing process by which a liquid material is usually poured into a die mold, which contains a hollow cavity of the desired shape, and then allowed to solidify. The solidified part is also known as a casting, which is ejected or broken out of the mold to complete the process. Casting is most often used for making complex shapes that would be otherwise difficult or uneconomical to make by other methods. Die Casting China was grow up since 1960, and rapidly grown up in recently 20 years. Die Castings are used in areas like transportation, aerospace, defense, mining, construction, maritime, fluid power, & domestic household. Some cast components include: engine blocks, suspension parts for auto mobiles, cooling fan components & fluid flow components like valves, pumps, pipes, and fittings. To cut the emissions there is a need to improve the fuel efficiency and make the vehicle lighter in weight. Non ferrous metal like aluminium is lighter than steel and has density one third of that of steel. Aluminium has a lower density of 2.7 gm/cc compared to 7.8 gm/cc of steel. Aluminum and aluminum alloys are lightweight with good corrosion resistance, ductility and strength. Aluminium is a light silver coloured metal placed 13 on the periodic table and is important group 3 element. It has good resistance to corrosion and due to its aesthetics it makes a suitable alloy for varied applications. Dr. Dinesh & Ramesh is in the process of manufacturing Aluminium die casting of various alloys including LM6, LM9, LM25, A356, 413, AlSi8Mg3, AlSi10Mg amongst others. There are various casting processes including Gravity Die Casting (Permanent Mold Casting), Low Pressure Die Casting, High Pressure Die Casting, Investment Casting, Sand Casting processes. Dr. Dinesh & Ramesh have expertise in the Gravity Die Casting and Low Pressure Die Casting processes since 1979. Die Casting China Companies has also developed its own proprietary equipment for Low Pressure Die Casting. This is a relatively newer process in which metal enters into a die in a very controlled and turbulence free manner. An air tight furnace is kept underneath the metallic mold, and under air pressure (upto 25 psi – depending on the size of the casting) the liquid metal rises up from the furnace into the metallic die on top of the furnace. A very good control of the molten metal is achieved in this process resulting in reliable, pressure tight and homogenous parts. Various critical components in the industry are made through this process for eg: Engine blocks of automobiles, cyclinder heads, alloy wheels, crticial electrical components, special purpose pressure tight parts to name a few. Ram charan die Castings & Alloys is a leading manufacturers of Aluminium Gravity castings, Aluminum High pressure die casting, Aluminium sand castings in the China. Ram charan die Castings & Alloys produces Aluminium castings for a wide range of markets includes Switch gear industry, power transmission industry, heavy Electrical industry, Electronics, instruments and general industry and a lot more. Ram charan die Castings & Alloys has been established in the year 2005 at Hyderabad, Andhra pradesh. We are led under the able guidance of Mr.Narsimulu. who has with him extensive experience of industry. His ability of handling the involved operations and dedicated support of our team helps us to successfully meet the requirements of our customers in the engineering industry. We offer to our clients a wide range of gravity die castings, pressure die castings, sand casting component products that are available in both standard and customized version. With 7 years of experience in Aluminium Gravity casting, we have the art of large scale mass production. Our highly innovative and technically skillful production team has always been focused on manufacturing highly efficient casting components and parts for various industry. 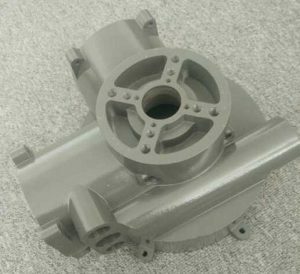 Customer’s quality requirements are continuously increasing, pressure tight castings free from porosity is the order of the day. Our expertise in processes, ability to offer creative solutions, always meeting the timeline and offering the entire range of services have made us what we are today. Our experience, technical expertise, superior equipment and enthusiasm will unable us to provide the close tolerances, minimum draft angles, good finish and high strength with the minimum wall thickness necessary, at the lowest cost. With the help of well developed infrastructure facility comprising of modern production machines, we successfully meet client’s requirements of effective and reliable range of gravity die casting based components. We also have all the requisite equipment that assists us in providing good finish, grinding, Buffing, machining in our products with a installed capacity of around 10mts per month, we have plan to further enhance it by another 10mts in the concern future. we are providing efficient and rust proof products to our clients. Working as a prominent company we are very prone to satisfy our clients fully by providing optimum products and also providing customization on our products as per the client’s requirements. Our concern has been a long standing and fast growing since the beginning we are using highly excellent professionals along with latest technology and high tech machining at every step of production. Manufactured in different sizes and weights categories from 50 grams to 50 Kg castings. We are the specialists in permanent mold casting(Gravity die casting) Sand casting typically have higher costs associated with piece price, but lower the tooling cost Permanent mold is of often thought of as the process somewhere in between sand casting and pressure die casting. Pressure die casting tooling can be expensive initially, but the piece price is low. Gravity die castings is the most viable routs for the production of small to medium volume castings, which are uneconomical for the high pressure die casting process. All successful Aluminum casting applications begin with careful consideration of the product and manufacturing process. We have relevant expertise to make gravity die castings as per international standards adopted to produce industrial die castings. Variety and versatility in on foundry allow us to operate in an efficient and delivery focused fashion. Grading ring (carona Ring) castings which are used in composite insulators. Utilizing our knowledge, expertise in the field of engineering castings and industrial castings, we have been able to provide our clients with highly sophisticated casting components. We have always tried our best to keep our esteemed clients as satisfied as possible with our high quality products & services.